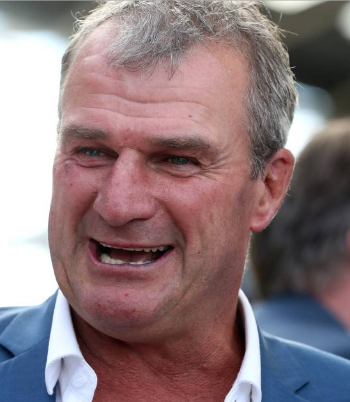 Former French stayer It’s A Silvertrail will be Australia’s champion trainer Darren Weir's second ever starter at Newcastle when he contests the 2900 metre Hunter Stayers’ Cup on Saturday. Weir made his one and only visit to Newcastle last September when his stayer Pacodali was unplaced in the Newcastle Gold Cup. It’s A Silvertrail is raced by Hunter-based syndicators Australian Bloodstock who imported the nine-year-old in late 2014. David Payne trained the gelding in his first two Australian starts which included a placing at Rosehill. It’s a Silvertrail suffered a tendon injury and he did not race for 22 months. He was transferred to Weir and he has won at Moonee Valley, Bendigo and Cranbourne. His recent Victorian form is solid, and he was beaten less than a length at Moonee Valley five weeks back. Australian Bloodstock principle Luke Murrell said that he would be surprised if It’s A Silvertrail is beaten on Saturday. “This horse is on a hit-and-run mission and I have no doubt he is the best horse in the race. It’s A Silvertrail has done a tendon a couple of times and has missed more than two years of racing, however, he has won more prizemoney than the owners paid for him. "The 2900 metres won’t be a problem as he is tough and has won over 2500 at Moonee Valley. We identified Saturday’s race as a winnable one and there is not many Benchmark 70s for stayers. "Also, the nominations were extended so Darren decided to have a crack. The horse was leaving on the float from Ballarat at 5pm yesterday. After Saturday’s race, It’s A Silvertrail will head back to Ballarat,” Murrell said. Wyong four-year-old Invincible Gangsta, toughened up by recent racing, has a golden opportunity to return to the winners' list in the 900 metre Benchmark 70. The four-year-old has been placed in his past three starts at Newcastle, Taree and Hawkesbury. He is a winner at Newcastle and he smashed the Scone 900 metre record last preparation. Invincible Gangsta has a soft draw and Bobby El-Issa has his first ride on the gelding. Andrew Gibbons has some attractive rides on Saturday and his mount Nuclear Burst in the 1400 metre Maiden Plate has his hoof on the till. The Wyong three-year-old has been placed in all three starts at Gosford (2) and Wyong. Nuclear Burst is crying out for 1400 metres and he will relish racing on the spacious track. The enigmatic but richly talented Muswellbrook four-year-old Roman Typhon is the class runner in the 1300 metre Benchmark 64. Bred by the late great Bart Cummings, Roman Typhoon has had most of his starts on Sydney tracks. He won a Rosehill Highway two starts back but the gelding has been his own worst enemy in a number of starts when he has raced greenly. The race is a drop-in class and Roman Typhoon will love the long straight.